Forty years of confrontation in Europe have produced a complex set of conditioned reflexes in western military thinking. With the ending of the Warsaw pact, planning and analysis specialists have had to look again at the basic principles of war: there is no sure ground any more. The analysis of threat and response has been transformed and new patterns of likely action, such as the Gulf intervention, have been accommodated. In practical terms, this affects what is taught to both new officers and senior officers about to assume command responsibilities. 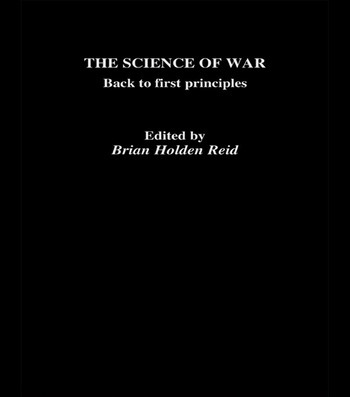 The essays in the Science of War attempt to develop a broader understanding of the factors that operate at the higher levels of war, and to study the operational level of war from a general, speculative and penetrating viewpoint. Many contributors also attempt to integrate military theory and historical experience. The aim throughout is to lay down a theoretical grounding in the principles of the planning and conduct of war at the operational level, without necessarily tying it to a specific formation or scenario. The result is an authoritative collection of essays on subjects central to the study of war in the modern world, with an assessment of the likely character and vicinity of possible future wars.